This offer is only valid through the end of the day Monday, August 18 at MIDNIGHT PST. At that point, this offer goes away FOREVER. Cancer, or neoplasia is one of the most feared diseases and diagnoses among dog owners; unfortunately the incidence is on the rise leaving pet owners with many questions about why this is happening, and what they can do to prevent it. In this article you will learn about the current statistics on cancer in dogs, including which breeds are at highest risk. The exact definition of cancer is explained, then I go over the most common types of dog cancer; lymphosarcoma, mast cell tumors, osteosarcoma, and hemangiosarcoma. Lastly I reveal the top 6 things you can do now to prevent your dog from getting cancer in the first place. Cancer is now the number one cause of death in dogs. The National Cancer Institute has published figures, saying more than 27 million dogs in the Unites States will be diagnosed with cancer each year. Of dogs over the age of 10, over 50% will now die of cancer, an estimated 14 million. Golden Retrievers have the highest incidence of cancer amongst all dog breeds. 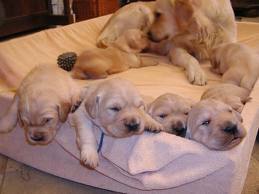 The breed’s average lifespan is now down to 10 1/2 years, and 60% of Golden Retrievers will die of cancer. Breeds at increased risk include Golden Retrievers, Boxers, Rottweilers, Bernese Mountain Dogs, Boston Terriers, Irish Setter, Cocker Spaniels, and English Bulldogs. The definition of cancer is of abnormal cells which divide without control and are able to invade other tissues. Cancer cells can spread to other parts of the body through the blood and lymphatic systems. Cells grow and divide in a controlled way to produce more cells as they are needed to keep the body healthy. When cells become old or damaged, they die and are replaced with new cells. However, sometimes this process goes wrong; there are mutations in which cells do not die when they should and new cells form when the body does not need them. These extra cells may form a mass of tissue called cancer or a tumor. There are more than 100 different types of cancer, and the cancers are named for either the organ they affect, or the type of cell which they start in. Lymphoma is cancer of the lymph cells (lymphocytes), and lymphoid tissues. Lymphoid tissue is found in: lymph nodes, spleen, liver, intestinal tract and bone marrow. The type of lymphoma depends upon where the cancer originates: it may be the Skin form, the Intestinal form, or Generalized and spread throughout the lymph nodes (called multicentric). Signs for you to watch for include a firm lump that grows and won’t go away. Some pets have an increased appetite but continue to lose weight. Others have problems breathing and may show overall weakness if they are becoming anemic. Lymphomas (Grade 1 – local growing, to Grade 5 – where the tumor cells have spread throughout the body). Osteosarcoma is also known as Bone Cancer, common in medium to large breed dogs. The bones of the legs are most commonly affected. Most dogs first intermittently limp, then progressively limp more often as the tumor grows from the inside of the bone out. At that point you may see a swelling at the end of the bone, and it is firm and painful to touch. The exact cause of cancer is unknown, but environment also plays a big role with exposure to smog, herbicides, and insecticides being contributing factors. Vaccines have been implicated, along with food; preservatives and other chemical additives may also contribute to causing cancer. Clearly there is also a genetic component as we are seeing increased incidence within certain breeds, and some breeds now have a shorter lifespan due to cancer. So what can you do to prevent your dog from getting cancer in the first place? Clearly the issue is complex, and there isn’t only one simple answer; what all the experts agree on is that cancer is caused by many things, or multifactorial. What we can do though is draw some pretty simple conclusions from large scale studies on people, and equate them to our dogs. There is increasing evidence pointing toward the array of environmental toxins as causes of some cancers. Avoid pesticides on your pet if possible. Avoid using toxic lawn care products, and try to clean your house with non-toxic cleaners. As a society, we are exposed to more cancer causing products than we are even aware. A recent study showed the presence of over 75 environmental carcinogens in a group of ‘healthy’ people. There are many things that you can do to prevent Cancer. These changes will be good for both you and your pet. Vaccinate for only what is absolutely necessary for your dog. A limited vaccine program is highly recommended – and is especially important if your companion belongs to any of the breeds known to be more susceptible to cancer and chronic diseases. In dogs, vaccines continually stimulate the immune system – in an older dog this may bring on undesirable effects and many researchers have wondered about the increased frequency of vaccines over the past 30 years and increased incidence of cancer in pets. 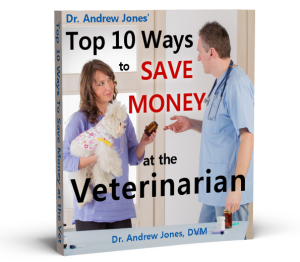 The bottom line: only vaccinate your pet for diseases they are likely to get if not vaccinated, and only give the vaccine boosters as often as needed. 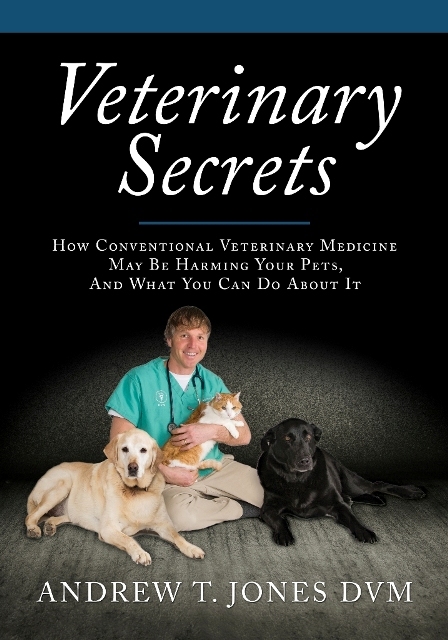 As a generality, most pets can go without any vaccines past the age of 10. As with people, regular exercise will help prevent cancer. It keeps the body weight lower, and causes the release of stress relaxing hormones, called endorphins. Recent studies in people show that moderate to intense exercise can dramatically reduce the chance of developing cancer. In a Finnish study, the researchers determined that, after controlling for cigarette smoking, fiber and fat intake, age, and other variables, the most physically active men were the least likely to develop cancer, particularly of the gastrointestinal tract or the lung. Clearly this study can be drawn to our dogs; one simple technique to decreasing dog cancer is with regular exercise, at a minimum of 30 minutes twice a day. Nutrition is the most important aspect of cancer prevention in your pet. When the body is supported with the building blocks needed to maintain healthy cells and repair damaged ones, healing from within can begin. It is best to feed a premium quality holistic diet. Avoid artificial colors, and ensure that a natural preservative is used. Some dogs thrive on a raw food diet; if you take the proper precautions, then this is an excellent option. I encourage you to look at supplementing your dog’s diet with nutrients that may play a role in cancer prevention. In people the general advice is to eat a diet including far more fruits and vegetables; the studies have shown that this simple change can reduce the risk of many cancers by 30-50%. In dogs we are typically not feeding anything fresh, instead hoping that the supposed dry and ‘nutritious’ dog kibble contains all that they need. Omega 3 Fatty Acids (EFAs) should be added to every dog’s diet; in fact, EFAs are vital. Omega 3 Fatty Acids are great anti-inflammatories and some studies have suggested that they may lower the likelihood of some types of cancer. They are inexpensive and easy to give; you can give your dog 1 tablespoon of flax oil per 50lbs daily added to their food, in the form of supplements, in ground flax seed or in fish oil. The last, but not least supplement I want to discuss are antioxidants. Antioxidants are substances which protect cells from the damage caused by free radicals; these are unstable molecules formed during normal cellular reactions. Most scientists tend to agree that free radical damage may lead to cancer. Antioxidants work by stabilizing these free radicals, preventing cell damage, and then cancer. There are many different antioxidants, such as vitamins A,C,E, selenium, lutein, beta-carotene, lycopene, and even green tea. A very simple way to increase the antioxidants in your dog’s diet is with the use of ground flax seed- it contains considerable levels of vitamin E, selenium and lignans; all are antioxidants. The dose I advise is to give your dog one tablespoon of ground flax per 50lbs daily; you can add it directly to the dry kibble, and many dogs will eat it. Dog cancer is on the rise for a number of reasons, including environmental toxins, food toxins, genetics, and many factors we don’t fully understand. Certain breeds such as Golden Retrievers are at a higher risk, but there are many things that you can do to lower the risk. These include avoiding many of the environmental toxins, decreasing the number and frequency of dog vaccines, better nutrition, and adding in supplements such as omega 3 fatty acids and antioxidants. I would love to attend your webinar but in the UK thats 1am and not achievable for me. Another time. The webinar will be recorded, so as long as you sign up you will be sent a link for the recording after the webinar is over. Not sure where to comment on the Pit bull bans. I might be bias because I own a female pit bull, but she is the sweetest scaredy cat of a dog that I have ever owned. My mother’s mini cocker that we rescued last year is mean and bites at peoples heals and even attacks my pitbull. My dog could eat her, but she just goes and hides until my Mom and her dog leave. I think it is how they are raised. And I think instead of threatening the breed that the owners should be held responsible. Pit bulls love children and all the bully breeds that I have been around are just big lovers. Last week, my male Bichon (Bailey) was diagnosed with lymphnosarcoma cancer. He turns 15 on June 25. Is there anything you can recommend to stop the nausea? The vet gave him a chemo injection called Vincristine, which shrunk the 2 tumors in his throat area, but made him get tremors, insomnia, not eating, drinking excessively and vomiting frequently. He’s back in the hospital to get rehydrated, but now has diarhea, but at least he’s eating. Do you think it’s a good idea to put wheatgrass in his food and is it something that will help him at this stage? He’s has to be on Prednisone now (reduced from 1/2 to 1/4 tablet every 12 hours). He’s only had a total of 2 tablets. I agree with you regarding vaccinations, but most “doggy day cares” do not, nor do groomers. They insist on recent vaccinations to admit or care for your animal. I can understand that this is for the safety of the other dogs, but if vets are recommending longer periods between boosters then shouldn’t the industry accept that? I have a Yorkie pup and the vet recommends that she only gets her rabies shot at 6 months, consequently I was unable to put her in a day kennel when my husband was hospitalized, creating problems for visiting him and picking him up. The last month my veterinary prescrib to him a protective because he things that my dog suffer with atrosis. I gave him a tablet every day and little by little i see my dog deteriorating. Now, after an ultrasound scan, they say that neo have tumors in spleen,liver and bladder. He has a big anemia. All his life i gave him fodder mix with rize, breast of chicken and carrots. For one week i threw at the garbage all the fodder and the tablets for atrosis, now i give him just red meat or breast of chicken with rize and seeds of chia. i give him natural tablets of claw of the devil(IT’s a plant with property antiinflamatory). My dog looks better, and now i want to try to give him another natural tablet of vegetale who calls graviola, but i haven´t idea of quantity i can give him.